Shri. Nishikant Prakashrao Bhosale Patil (Dada), Founder of Prakash Shikshan Prasarak Mandal, Islampur is a young, dynamic and enthusiastic person. Thorough knowledge of each and every particulars of Medical and Educational field. He is studious. He not only observes but make others to observe everywhere in concern fields. He insists on discipline, development and devotion. He works more than 17-18 hrs. and always thinking about the up gradation. He had observed keenly the social activities and union formation process from his father Late Shri. 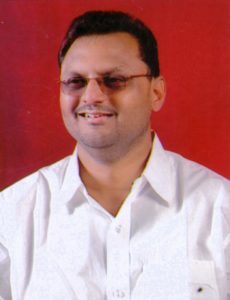 Prakashrao Patil (Tatya), a famous leader of M.S.E.B. employee. Hon. Nishikant Patil (Dada) always looks for standards in man and material. He never compromises in standard, it may be about human resource, may be about any material for equipment or instrument. He is always eager to have dialogues with his staff and to know the difficulties and suggestions from them. He has very good oratory, nice leadership and perfection in human resource management. Considering his young age, institute has a very good future.